Children around the world are living in dire conditions without even the basic necessities of water, food, shelter, and love. They often suffer in silence, struggling simply to exist among the unexplainable and irreversible conditions in which they find themselves. Many are so young they do not even know what they lack the love of a family and the comfort of a home. Survival is their only concern as they grow up in a world of adults who seem to have forgotten them or are so busy with their own survival that they really do not have time to care. These first-person narratives are compiled from conversations with dozens of boys and girls in India. The stories put a voice to the suffering that they and thousands more like them endure every day. 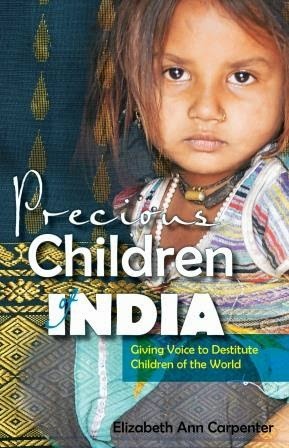 Children bravely share their stories of being caste bound, trafficked, beggars, witnesses to murder, unwanted, and of suffering great loss. Each child is a witness to his or her own story of survival. From their voices can be heard the desperate plea for someone to care, if not for themselves, then for those even less fortunate whose voices have not yet been heard." While simply written (after all, it is in the children's own words), this book is full of heart breaking imagery that with every page made me more thankful for what my boys and I do have. We might be poor and struggling, but we're not out picking through garbage looking for food or items that we can sell...and that's just the tip of the iceberg. Living where we do, perhaps we've grown a bit hard to the struggles of families elsewhere, but this book opened my eyes and there isn't a single person out there that I wouldn't suggest read it. I received a copy of this book, for the purpose of this review. All thoughts, comments, and opinions are my own.